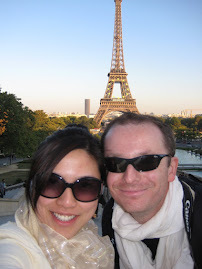 My past trips to Europe have been pleasant and memorable. Most of my visits were during the summer season, hence I tried mostly their summer delicacies. My mother-in-law prepared some "winter" salad like: betterave (red-looking jelly-like salad which was yummy); endives (whitish yellowish salad that grows only in winter). During my stay with hubby's aunt, she made some gratin de carde (which is another vegetable that grows only in winter). Now let's move to the highlights of my gastronomic experience. Hi there... just came across your blog... it's great to read your wonderful shared experiences. Yummy food, eh? Hope you have lots and lots more adventures! Very nice food, likely to eat!! I have been in Malaysia too and I really enjoy it! Cheese can be paired with anything, but it is especially tasty with wine. 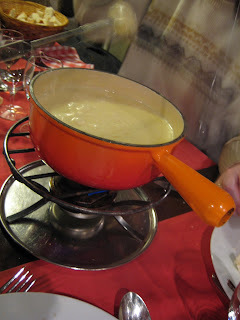 Meanwhile, fondue is melted cheese put in a pot where chips, fruits and meat could be dipped. Europeans love fondue. The photos look so delicious I feel like eating them! You made me jealous of your trip! Thanks for dropping by Alex Staff! It was indeed a wonderful and tasty trip ... 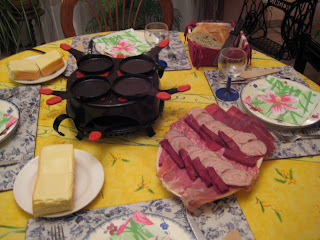 In malaysia myself and some friends managed to do some raclette and fondue at home... And it turned out good. Maybe you can do it at your home?